Babyology Exclusive - Nine to Nine furniture here in February! Babyology Exclusive – Nine to Nine furniture here in February! A wonderful Spanish furniture brand is due to arrive next month, just in time for the Kids Instyle trade show! Launching at February’s show is Nine to Nine, which we wrote about in June 2009. Tulp Kids, the Australian distributor, is expecting its first shipment soon of the Mouse Tables, Drum Stools and the smaller version of the Deskhouse. 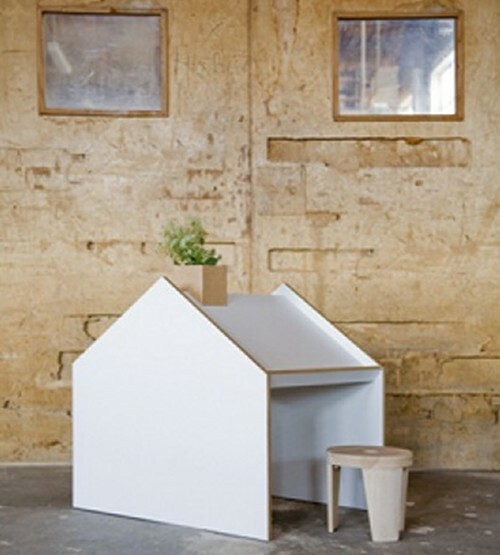 The imaginative Deskhouse is a desk, cubby and playtable all in one, so those with compact abodes will adore it. We look forward to viewing these pieces at the brand’s Australian launch at Kids Instyle, which runs from 17 to 22 February. The Deskhouse will be $409, Mouse Table $514, Drum Stool in neutral $178 and the Drum Stool Lacquered $218.